Needless to say, the print caused much discussion among us writers of surfing’s history.2 The big question the image raised: was there really a brief instance of someone -- female or not -- surfing Asbury Park, New Jersey, in the summer of 1888? 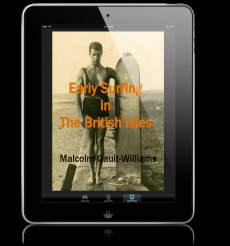 If so, that would put that location as the first spot known to have been board surfed on the East Coast of the United States. Skepticism was the order of the day for all of us taking a critical eye to the print, caption and accompanying text. Questions centered around: Who could this be? What does the image and text really tell us? Can the source be trusted? Are there any other references to this event? What does the image and text really tell us? 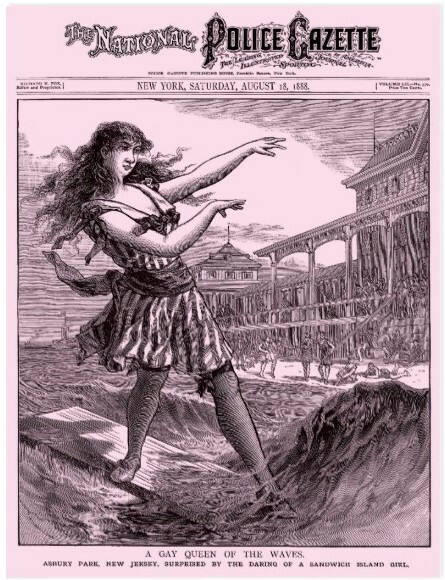 If the rider existed and the event took place as described, how did she surf with a dress, stockings and head band? And where did she get the board from? Can the source be trusted? Are there any other references to this event? Undeterred, Skipper Funderburg continued his search for whether this event did happen or not and who “The Sandwich Island Girl” could be. So, apparently the event -- which looks increasingly like it did happen -- was not a fabrication of the National Police Gazette, but part of a released story from the Philadelphia Press Letter that was picked-up by three other newspapers in addition to the NPG. 1 National Police Gazette, 18 August 1888, p. 1. 3 National Police Gazette, 18 August 1888, p. 14. 5 “Sandwich Island Girl 2,” LEGENDARY SURFERS, 22 April 2006 - http://files.legendarysurfers.com/blog/2006/04/sandwich-island-girl-2.html. DeSoto Brown quoted. 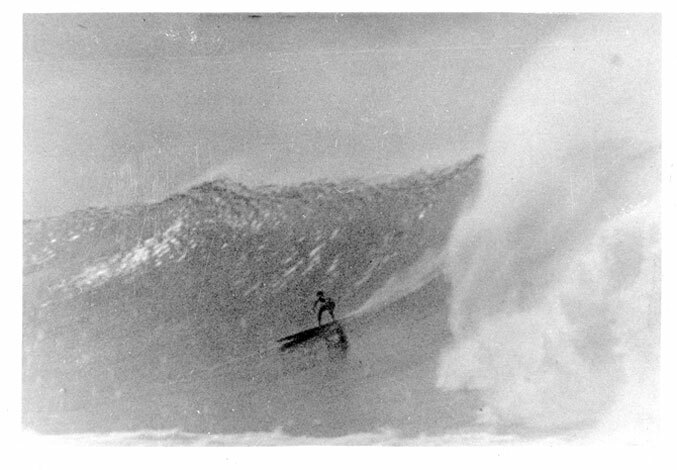 6 “The Ka’iulani Board,” LEGENDARY SURFERS, http://files.legendarysurfers.com/surf/legends/ls04_kaiulani.html. 7 “Sandwich Island Girl 2,” LEGENDARY SURFERS, 22 April 2006 - http://files.legendarysurfers.com/blog/2006/04/sandwich-island-girl-2.html. DeSoto Brown quoted. 8 Geoff Cater’s Surfresearch, aka Pods For Primates, http://www.surfresearch.com.au/1888_Police_Gaztte_SIG.html - viewed 29 November 2016. 10 “Sandwich Island Girl 3”, LEGENDARY SURFERS, 24 April 2006 - http://www.legendarysurfers.com/2006/04/sandwich-island-girl-3.html. Craig Lockwood quoted. 11 “Sandwich Island Girl 3”, LEGENDARY SURFERS, 24 April 2006 - http://www.legendarysurfers.com/2006/04/sandwich-island-girl-3.html. Craig Lockwood quoted. 12 “Sandwich Island Girl 3”, LEGENDARY SURFERS, 24 April 2006 - http://www.legendarysurfers.com/2006/04/sandwich-island-girl-3.html. Craig Lockwood quoted. 13 “Sandwich Island Girl 3”, LEGENDARY SURFERS, 24 April 2006 - http://www.legendarysurfers.com/2006/04/sandwich-island-girl-3.html. Craig Lockwood quoted. 14 “Sandwich Island Girl 5,” LEGENDARY SURFERS, 29 June 2010 - http://www.legendarysurfers.com/2010/06/more-on-sandwich-island-girl.html. Excepted from Skipper Funderburg’s article “Sandwich Island Girl Hangs Five,” at www.carolinabeach.net, 1 June 2010. 15 “Sandwich Island Girl 5,” LEGENDARY SURFERS, 29 June 2010 - http://www.legendarysurfers.com/2010/06/more-on-sandwich-island-girl.html. Excepted from Skipper Funderburg’s article “Sandwich Island Girl Hangs Five,” at www.carolinabeach.net, 1 June 2010. 16 “Sandwich Island Girl 5,” LEGENDARY SURFERS, 29 June 2010 - http://www.legendarysurfers.com/2010/06/more-on-sandwich-island-girl.html. Excepted from Skipper Funderburg’s article “Sandwich Island Girl Hangs Five,” at www.carolinabeach.net, 1 June 2010. 17 “Sandwich Island Girl 5,” LEGENDARY SURFERS, 29 June 2010 - http://www.legendarysurfers.com/2010/06/more-on-sandwich-island-girl.html. Excepted from Skipper Funderburg’s article “Sandwich Island Girl Hangs Five,” at www.carolinabeach.net, 1 June 2010. 18 “Sandwich Island Girl 5,” LEGENDARY SURFERS, 29 June 2010 - http://www.legendarysurfers.com/2010/06/more-on-sandwich-island-girl.html. Excepted from Skipper Funderburg’s article “Sandwich Island Girl Hangs Five,” at www.carolinabeach.net, 1 June 2010. 19 “Sandwich Island Girl 4”, LEGENDARY SURFERS, 3 May 2006 - http://www.legendarysurfers.com/2006/05/sandwich-island-girl-4.html - Comment left by a local newspaper reporter/surfer “bfrank” on 17 July 2006. 20 Funderburg, J. Skipper. Letter to SHACC and Malcolm, 1 January 2017, send in email 3 January 2017 with three scans of the newspaper items referenced. 21 Funderburg, J. Skipper. Letter to SHACC and Malcolm, 1 January 2017, send in email 3 January 2017 with three scans of the newspaper items referenced. New material from the newspapers quoted.